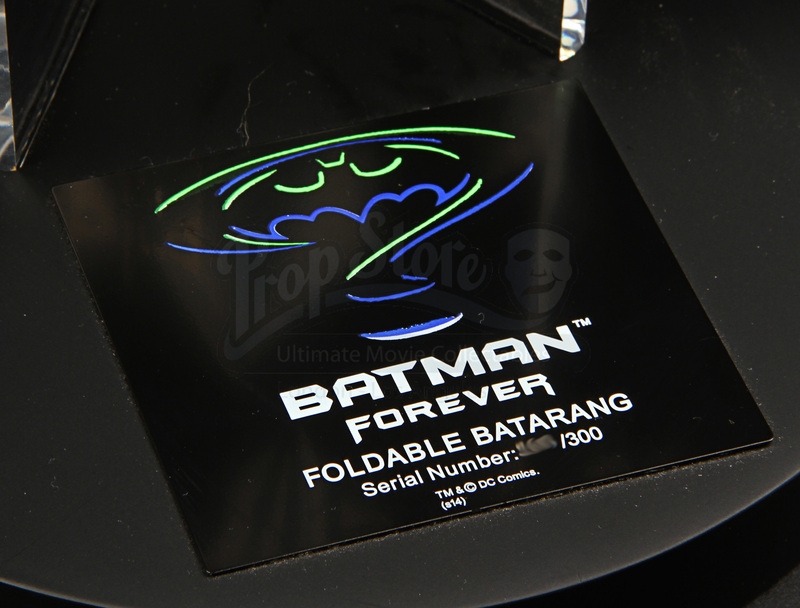 A replica folding batarang from Joel Schumacher’s 1995 comic-inspired action blockbuster Batman Forever. 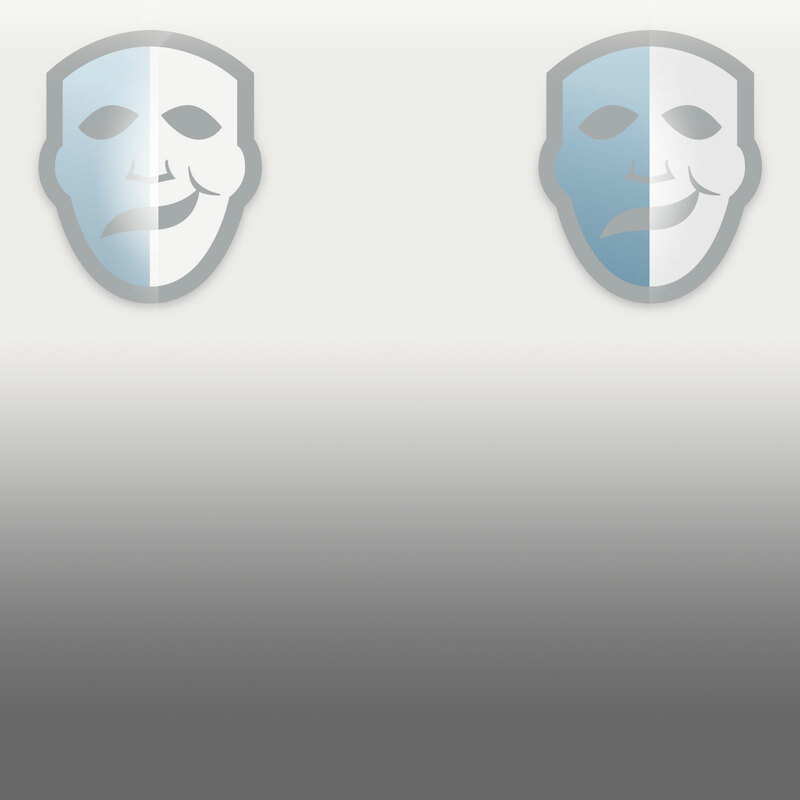 New enemies have come to the fore in Gotham, with disfigured former DA Harvey Dent, AKA “Two-Face” (Tommy Lee Jones) and disgruntled inventor Edward Nygma, AKA “The Riddler” (Jim Carrey) threatening to bring Gotham to its knees. Can Batman (Val Kilmer) and new ally Robin (Chris O’Donnell) save the city before it’s too late? This limited edition batarang, one of only 300 produced worldwide, was created by the Hollywood Collectibles Gallery. 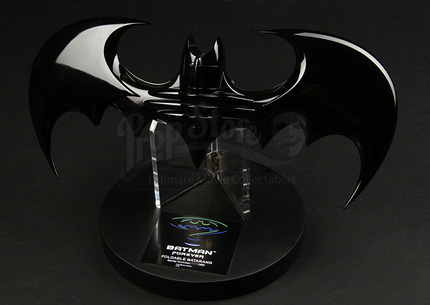 The batarang is made of metal and created directly from a 3D scan of an original batarang used in the production of the film. 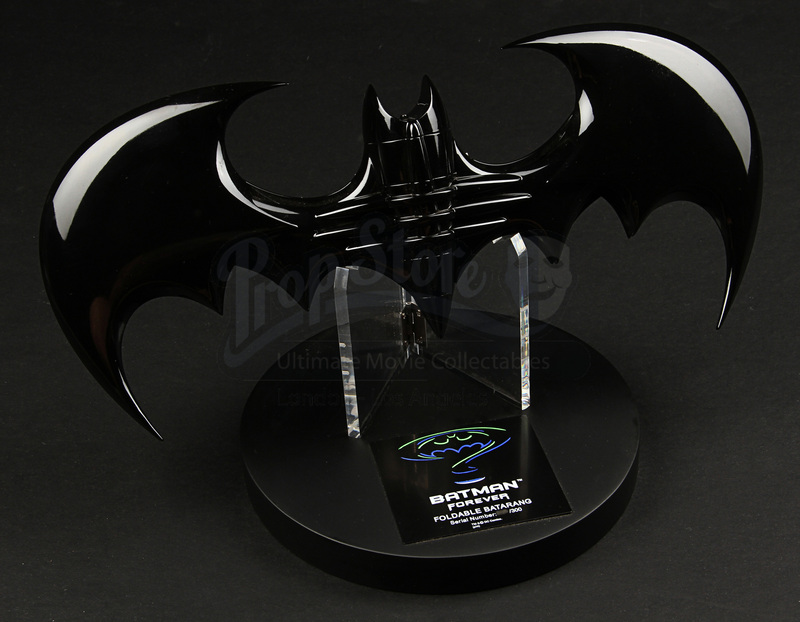 The piece features folding and spring-loaded “wings” and is finished in a gloss black paint. 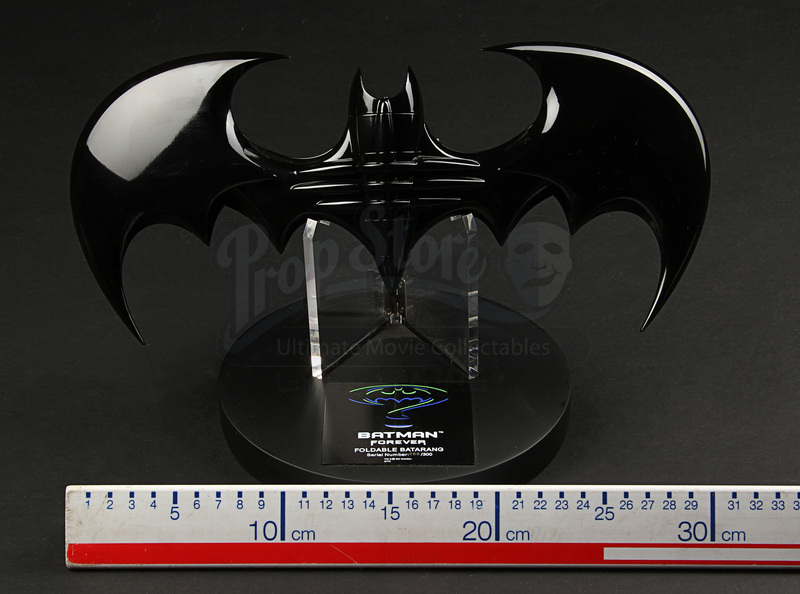 The piece is presented on a display base featuring a label bearing the Batman Forever logo and the edition number. Please note that your piece may differ slightly from the item pictured.